Joy, melody, enthusiasm and spirit define religious life at PSJC. The benefits of membership in this supportive community are vast and include opportunities for engagement, learning and connecting with one another. Membership includes support during life cycle events, High Holiday tickets for immediate family members, discounts at PSJC programs, Hebrew School, rental discounts and a wide variety of engaging opportunities. PSJC warmly encourages families, individuals of all ages and interfaith couples to join our community. Park Slope Jewish Center (PSJC) is a Conservative, egalitarian synagogue in Brooklyn’s Park Slope. 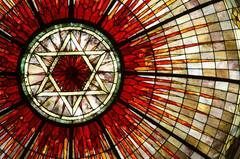 We have a strong commitment to Jewish learning, tradition, and social justice and pride ourselves on inclusiveness by welcoming Jews of all backgrounds and family structures. 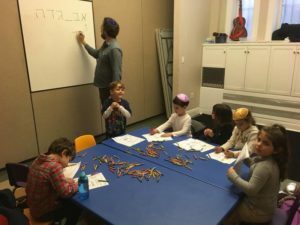 Our Hebrew School similarly provides a warm, welcoming, and inclusive learning environment for students in Kindergarten through Bar/Bat Mitzvah. 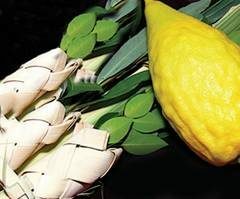 Our mission is to instill in our children a positive Jewish identity, a connection to the PSJC community and to k’lal Yisrael (the Jewish people), and to provide our children with a strong grounding in Jewish literacy through knowledge of bible, holidays, prayer, history, values and the Hebrew language. It is our hope that once the children have become B’nai Mitzvah they will continue with their Jewish education and their involvement in PSJC. Our students also have the opportunity to return as Teachers’ Assistants through the Hebrew School’s Madrichim Jewish Leadership program, as well as to continue their learning at Teen Torah on Shabbat. The Gesher program, for 8th – 10th graders, allows students to explore Jewish identity and social justice issues in a relaxed environment with their peers over a pizza dinner. 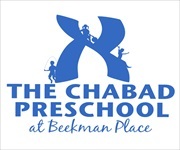 PSJC’s Hebrew School is open to all children of PSJC members, including interfaith families. In Conservative Jewish practice, children are considered Jewish if their birth mother is Jewish or if they have had a halakhic conversion. PSJC’s Hebrew School welcomes children who do not meet these criteria, though families will need to consult with our rabbi by the time their children enter fifth grade in order to discuss their children’s eligibility for Bar/Bat Mitzvah at PSJC. We try to accommodate children with special needs whenever possible. We urge families with children who have special needs to discuss their individual child’s accommodations with our principal and our inclusion committee as part of enrolling in the program. PJSC encourages families to enroll their children at Kindergarten age, but admits children in subsequent grades. Students enrolling in the third grade must be able to identify the letters of the Aleph-Bet and basic vowels. Parents may be asked to provide a few hours of private tutoring in order to catch a student up with his/her class if enrolling in the third grade and beyond. Our goal is to work with parents to help their newcomer children to obtain the necessary skills to keep up with the class without hindering the growth of those students previously enrolled. FOR MORE INFORMATION, please email our Director of Youth Education and Family Programming at aileen.heiman@psjc.org or contact the synagogue office at 718-768-1453 x102. We hope you and your children will join us for a meaningful and engaging Jewish education.